The conversation never quite made it back to DVDs. Marina did most of the talking, and she wasn’t such a great listener when Per or I took a turn. Still, I’m a bit like that myself, and she sort of won me over to be honest. Not that I had to work with her every day. ‘This can’t continue,’ I declared. ‘One time I think he followed me into the toilets. I was in a cubicle but the door definitely opened. But it was late, it was probably just a cleaner that time.’ She gave me a strange little smile, then she changed the subject, and I let her, and then she was in a taxi and gone. I felt better immediately. Irene would handle it. I couldn’t figure it either. I was tempted to share Marina’s account and Irene’s response, but it wasn’t my story to tell. ‘End of an era,’ I said instead. At the bar Marina bounced from person to person, mingling happily, and for once her outfit seemed to match the tone of the room. It was a small group but she made it big enough, putting a hand to one man’s chest and laughing, raising eyebrows at another over her glass. Mitch had already gone by the time I arrived, which pleased me, but it surprised me too, like an admission of guilt. I caught her near the bar and wished her well for her next move. ‘I don’t have a next move,’ she said with that same weird smile. ‘But it doesn’t matter, does it?’ Then she pressed by me, closer than I would have liked; but it felt like she was pushing me away. And like waking up into a hangover, I suddenly understood who Irene had meant. ‘I already signed the card.’ This was a lie. I didn’t feel I could. ‘It’s special for her!’ Elena said, and she grabbed my arm and pulled me to the task. Both of them watched as I held the pen and couldn’t think what to write. Eventually Per nudged me, so I scribbled my name and wrote ‘good luck’. She wasn’t going to forgive me, of course. She wouldn’t need to forgive anyone. So I laughed with the others, and I meant it, because she was right: the card was well-chosen. And that would have to be enough. I wrote this sketch about a decade ago, and I’ve lightly edited it before publishing here. It is based on true events. Doctor Who has always been about patrician intervention to break unjust systems; a dream of Empire, embodied in male social freedoms. A female Doctor is a deep break from this; so was the working class 9th Doctor. I am excited to see what DW will become. & remember, Who was created by a young woman and a gay man of colour, guided by an old white man who suggested a female Doctor in 1986. Their creation has always been a critique of its own sense of male power. Well past time to complete the circle and see what happens next. Jim Cameron’s Aliens (1986) is a meticulously-assembled thrill ride, absolutely loaded with enriching details. My favourite of all of them is in the coffee scene. It’s early in the film, and Ellen Ripley (Sigourney Weaver) has returned to normal life after her horrific experiences in Alien. 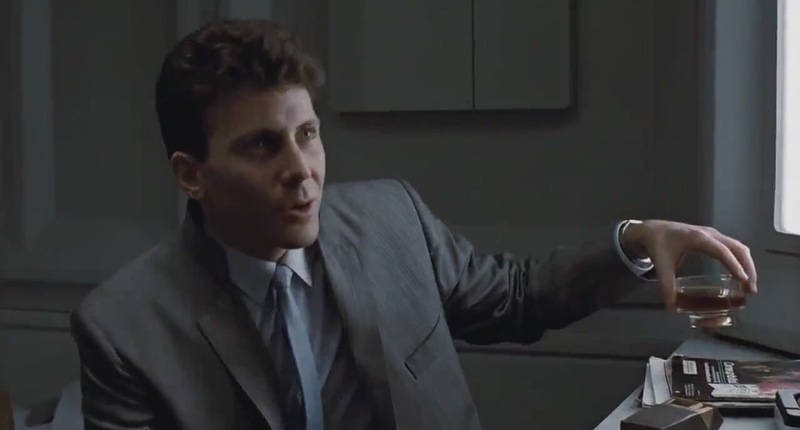 In this scene, the smiling corporate functionary Carter Burke (Paul Reiser) comes to ask for her help. With him is Lt. Gorman (William Hope) of the Colonial Marines. They try to persuade Ripley to return to the alien planet. As the characters talk, the main physical action of the scene is Ripley making coffee for the two men. She pours out two mugs (which are transparent – a lovely, and useful, piece of prop design) and hands black coffee, unsweetened, to these two intruders. Then she goes and pours for herself. She stirs her cup, which suggests she has added sweetener, but she hasn’t offered any to these unwelcome guests. Lt. Gorman stands straight-backed, holding his mug politely and without interest. He rests against a table for a time, but doesn’t really move. At the end of the encounter he thanks Ripley for the coffee, even though he hasn’t touched it. Burke, meanwhile, sits down, stands up, walks past Ripley, walks back, sits again, talking talking talking the whole time. It wasn’t until I watched Aliens on the big screen that I realised what he was doing. He’s putting milk or cream in his mug! I love it. My favourite detail in the whole film! This is, first and foremost, just some blocking, something to get the characters moving around the space so the scene doesn’t seem static. But the film really makes it work. Burke taking his coffee white is a great character detail, suggesting he shies away from undiluted intensity, especially compared with Ripley, who is living in an unfiltered world at this stage of the film. Look also at how he does it: Burke stands up, walks past Ripley into her kitchen without asking, helps himself to her kitchen supplies, and then parks himself back where he was. He’s not showing overt dominance here, he’s just acting like someone who is used to being able to do exactly what he wants, when he wants – a much more subtle and dangerous way of manipulating a situation. 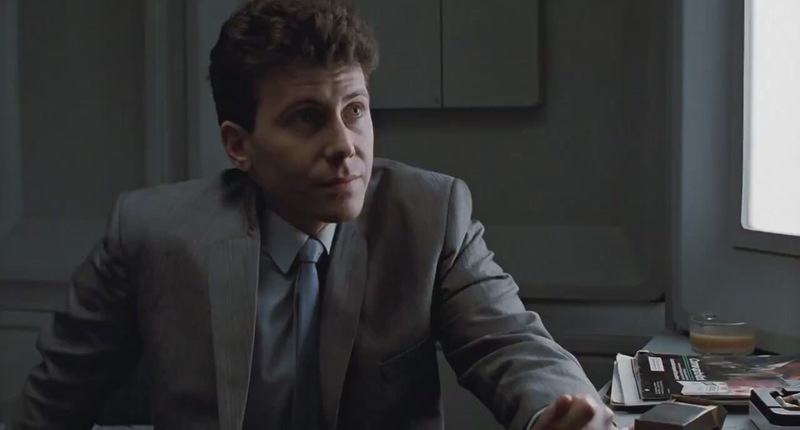 There are plenty of other great details in the scene that fire up red flags about Burke: he sits down without asking, and when he sits down, he starts touching something of Ripley’s (an item of clothing I think), playing with it with his fingers until Ripley snatches it away from him. When he’s up again at the end, having pushed Ripley into an outburst of emotion, he tells her “shhhh”, and puts his hand on her arm, and whispers that he hopes, as a favour, she’d think about it. This is why you never really trust Burke; the film is throwing lots of subtle signals, over and over again, that he will not respect your boundaries and he will smile while he takes advantage of you. It’s actually an interesting move in terms of filmmaking – surely the obvious thing to do is have Burke be trustworthy from the start, so his heel turn comes as more of a shock? I feel like Cameron’s made the right call here though, letting the only surprise be the sheer scale of Burke’s mendacity rather than trying to force the audience into going against their instincts and trusting a company man. It also means we never have to compromise Ripley’s character by having her trust someone and be betrayed. Interesting also to compare to the way you are made to feel about the Marines. The stink of untrustworthiness that Burke carries with him doesn’t spread to them; they might be on the same mission, they might have the same goal in this very scene, but the audience comes out of this sequence with a cautious trust in them that Burke is never afforded. And some of that storytelling work is done with the colour of a mug of coffee. How to get ready for the new series! For the memory banks. Minor tweet storm about Trump support and the underlying psyc principles. Well. It’s a hefty tome, and a beautiful physical object. Engaging, frequently a page-turner. Often funny, and pleasantly studded with familiar voices. But whatever I was hoping for, I didn’t really get it. 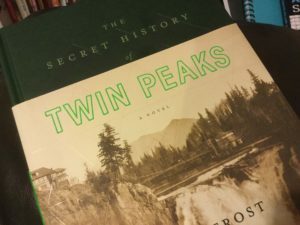 The book is presented as a dossier about the town of Twin Peaks, including notes by an archivist and reproductions of original documents of various kinds. 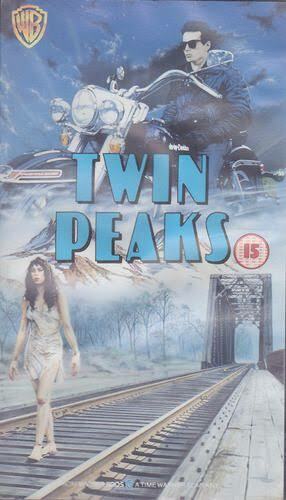 It is by Mark Frost, co-creator of the TV show with David Lynch. It tells the whole history of the town, from the days of the native peoples, right through to the events surrounding Laura Palmer’s murder. And it bugs me. It isn’t the Zelig/Forrest Gumpian appearances of varied historical personages – even L. Ron Hubbard! Frost’s project appears to be giving events in Twin Peaks greater significance against the backdrop of American life and its ongoing mysteries. It isn’t really what I’m looking for, but it is coherent with some of the threads from the show which made clear American authorities were aware of strangeness in the town, and the subplot around aliens and flying saucers is a major focus of the narrative. What bugs me is more the fact that, considering how big a canvas Frost is working with, it all feels so insular and referential (and deferential). The same names crop up over and over again through the town’s history. Almost everyone interesting in this lengthy book was either on screen, or directly related to someone on screen. With the opportunity to point at a wider canvas full of the unknown, Frost repeatedly loops back to the same established ground. Now this isn’t exactly inconsistent with the TV show which kept the focus relatively tight, going to the same circle of characters over and over again – as a TV show must do, to keep its contracted cast busy on screen. However, the same pattern feels myopic and overdetermined here, like fan fiction. 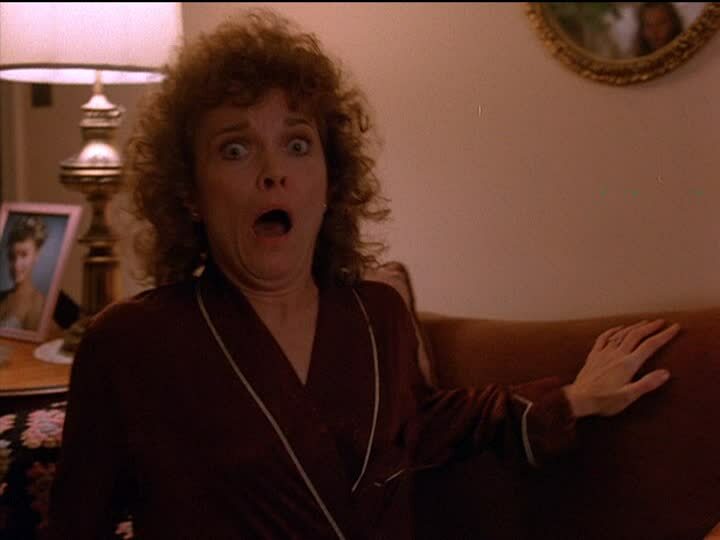 Consider by contrast Lynch’s film Fire Walk With Me, which obsessively included the vast majority of the characters from the TV show, but also featured many entirely new characters and situations in prominent roles. In fact, most of the TV characters were left on the cutting room floor. Even those earlier spin-off books filled out their world more than here. This focus on the TV characters creates some secondary problems. The urge to feature them was no doubt strong because of their distinctive, memorable personalities, but Frost has varied success transferring them to the page. In particular the writings of Deputy Hawk, Hank Jennings and Audrey Horne all feel off-kilter. If these characters were not quite so indelible, Frost might have got away with it. Also, frustratingly, the book doesn’t provide many answers to the TV show’s many cliffhangers. (One notable exception is the reveal of who survived the large explosion in the final episode.) Despite a framing device that has the evidence of events from 1989 being discussed in 2016, very little is revealed beyond what we saw on screen. So if you’re hoping this will carry you across the decades and set you up for the third season of the show, you will be disappointed. Mark Frost, and the publishers, have doggedly insisted that this book is a novel. I guess we might as well call it that, but it feels like its own sort of thing. While there is one central thread across the varied tales in the book, it doesn’t real feel like a narrative as such – there is little to root for in the central character’s journey, and what transitions he experiences are very superficial. The book tries too hard to make a dramatic mystery of the identity of the archivist, but the mystery is inert – knowing who it is changes nothing and adds nothing to the experience, it is just obfuscation for its own sake. Frost is a skilled storyteller (I am very fond of his novel List of Seven for example) but here the many interesting pieces of the book don’t come together into any richer whole. So do I recommend this book? There’s plenty to enjoy (the account of a scout camp featuring young versions of some minor characters is a creepy highlight) and it is a beautiful physical object. Still, I end up feeling quite ambivalent. While it is “canonical” (for whatever that is worth), I think it is best viewed as an entertaining homage rather than a new revelatory piece of the wider Twin Peaks puzzle. As a fun celebration of the show, it fits well alongside the rather silly Guide to Twin Peaks and the earnest but necessarily limited Secret Diary of Laura Palmer and Autobiography of Dale Cooper. It is nice to have clear accounts of tangled storylines such as the Josie Packard/Catherine Martel rivalry (inconsistencies notwithstanding). I am glad to have it on my shelf. But it is undeniably inessential. I guess my ultimate take is this: I wouldn’t expect David Lynch will have read this book before making the new series. I don’t think that would be a problem. So that’s it, then. One for the curious aficionado, not to be taken too seriously. I’ve been working for a bunch of years now on an idea to help us turn our feeling that things aren’t right into real action that has an impact on the world. It’s a toolkit that I call Small Group Action. It’s been used in workplaces and in classrooms and by groups of friends, and it works. It was the basis of my Masters research and I know it can make a difference. It’s time to get SGA out into the world, so people can put it to work. I’d welcome any support you can give me. What is Small Group Action? 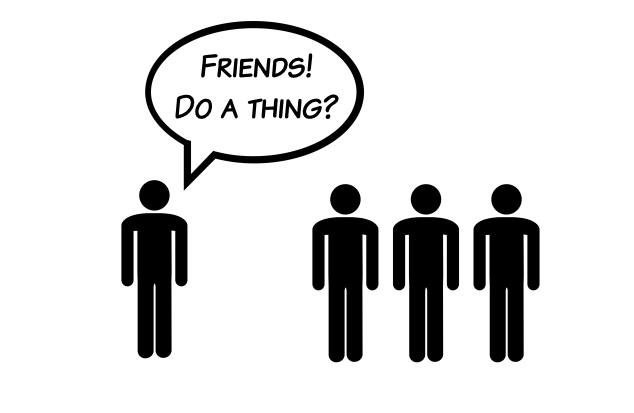 It’s very simple: you get a few people into a small group, say 4 or 5 people. You agree to do one action together – a short-term commitment only. You choose the action together, and plan how to get it done. Then you go for it. 4 or 5 people is big enough to do small but substantial things. (You can chain actions together for added effect.) It’s also small enough the group is easy to manage. Short-term means it’s an easy commitment to make, and you get the satisfaction of doing something sooner rather than later. Group effects help keep you on task – you can actively motivate each other, and no-one wants to let the others down. All simple stuff, but harnessed together, all pointing in the same direction? It makes for a powerful engine. A small SGA handbook and forms that walk you through the setup process, all free to download and print. An online tool or app that takes you through the setup process, then sends out reminders/notifications. A website/community that shares ideas for actions and promotes success stories. Obviously the social nature of SGA lends itself to social media, but I’m not sure how this could integrate effectively with Facebook/Twitter/Instagram etc. First – advice. Help me figure out what the hell I’m actually trying to get done, here. Comments are good, here on the blog or on Facebook or Twitter. Or email me! Second – enthusiasm. If this is a thing you could see yourself using, sing out. Third – expertise. Visual design people, community people, web people, psychology people, UX people, game design people, comms people – any offers of help or guidance gratefully received. OK then. Here we go. UPDATE: I’ve put a step-by-step and an action checklist over on the Taleturn website.